With one foot planted in the Central American jungles and the other dipped in the Caribbean Sea, Belize blends the best of both worlds. Offshore, kayakers glide from one sandy, palm-dotted islet to another, while snorkelers swim through translucent seas, gazing at a kaleidoscope of coral, fish, dolphins and turtles. Inland, explorers investigate ruins of ancient civilizations, and birders aim their binoculars at some 570 species. Between national parks, wildlife sanctuaries and marine reserves, more than 40% of the country’s area is protected in one form or another, creating a haven for countless creatures of land, sea and sky. Belize attracts more than 850,000 annual visitors eager to explore the mysteries of Maya sites such as Altun Ha or Lamanai, spot a toucan in the bird-watcher’s paradise that is Crooked Tree Wildlife Sanctuary, snorkel the reef off Caye Caulker or the Northern Cayes, and otherwise partake of paradise. Tourism is the country’s top source of employment and investment. The irony is that it is also the country’s biggest environmental threat. Belize does not yet have the infrastructure to support the massive numbers of tourists that arrive, especially by way of cruise ships. It does not have the resources to truly protect its sanctuaries and reserves and their inhabitants. And it does not have the political will to stop the rampant coastal development, which would mean turning down millions in investment dollars. According to sources such as Tropical Conservation Science, as much as 80% of coastal land has already been sold to foreign interests with the intention of building condos and resorts. Fortunately, Belizeans are environmentally aware and indefatigably active. Thanks to a progressive populace, Belize offers myriad ways for travelers to tread lightly, from beach resorts powered by solar energy to jungle lodges built from reclaimed hardwoods. Licensed guides not only direct, but also educate their clients – about the fragility of the reef, the medicinal uses of flora and the threats to the jaguar’s habitat. It’s never easy to maintain the delicate balance between preserving natural resources and cashing in on economic opportunity. But most Belizeans are proud of their natural heritage and they recognize that the goals of environmental conservation and economic prosperity are not mutually exclusive. This is the enlightened approach that has earned Belize its reputation as a paradigm of ecotourism. Sub Umbra Florero reads the motto on the Belizean flag. It refers to the mighty mahogany tree, and it means ‘Under the shade, I flourish.’ The mahogany may not be as prevalent as it once was, but with its loss has come an understanding of its value. Belizeans recognize that their country’s greatest asset must be respected and protected, and that tourists have an important role to play. Ambergris Caye has Belize’s widest selection of restaurants of interest to visitors, ranging from inexpensive local spots and pizza joints to a few that are rated among the finest in the world. The emphasis is on seafood, of course, but many restaurants also serve chicken and pork. Lobster is usually the most-expensive item on the menu (in-season mid-July to mid-February), at around US$20. Pasta and Mexican-style dishes also are popular. After all that pricey seafood, an honest plate of Belizean beans and rice will taste real good. Dress is very casual, even at the spiffy places. Placencia is where tourists – mostly North Americans – come to swim, snorkel, scuba dive, hang out on the beach and drive around in golf carts holding bottles of Belikin stout at 10 in the morning. There is little of the Garifuna/hippie vibe you’ll find in communities such as Hopkins, nor any of the urban hustle of Dangriga. Instead, the village of Placencia feels like an upper crust New England village transported to the Caribbean coast. Travelers to Cayo spend their time swimming in jungle-clad rivers, canoeing or crawling through mysterious caves, spying on birds, butterflies and other creatures, and learning the secrets of the ancient Maya. And at the end of the day, many of them make their way back to San Ignacio to rest up for the next day’s adventure. Together with neighboring Santa Elena, on the east bank of the river, San Ignacio forms the chief population center of Cayo District. Staying here is generally the more economical option for travel in Cayo; furthermore, there is no shortage of tour operators who are willing to show you the attractions and activities in the surrounding area. It is a friendly, functional base for your explorations in the region. Founded in 1848, San Pedro is the only inhabited area on Ambergris Caye and is found near the southern tip of the island. The town has an atmosphere of a bustling fishing village and is clustered with wooden houses built in both the Mexican and Caribbean style. In some cases, English colonial architecture remains along the narrow, white sandy streets that accommodate barefoot pedestrians as well as bicycles and golf carts. 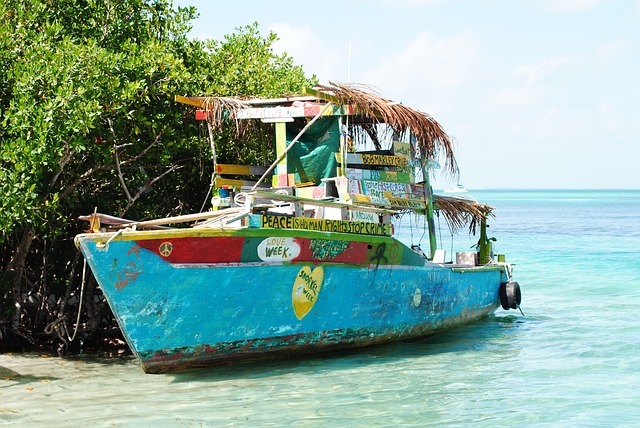 Belize’s marine environment attracts enthusiasts from around the globe to snorkel in coral gardens, scuba dive the Blue Hole, the “drop off” and shallow reefs; to cast for bonefish or simply to enjoy the warmth of the sun, sand and sea of the Caribbean. Offshore Belize lies the largest barrier reef in the western hemisphere with hundreds of coral sand and mangrove-covered islands and three of the only four coral atolls this hemisphere. Belize’s combination of islands and extensive underwater habitat make up the Belize Barrier Reef Reserve System and this combination of natural assets has resulted in Belize designating some 7 marine reserves – all of which have been declared as World Heritage Sites by the United Nation’s Educational, Scientific, and Cultural Organization (UNESCO). Divers and snorkelers alike encounter a diverse and abundant selection of marine life as well as a kaleidoscope of color in a variety of locations spanning the length of this 185-mile Belize Barrier Reef. This includes subterranean coral gardens featuring over 70 types of hard corals, nearly 500 species of fish, the distinguished Blue Hole, playful dolphins, fascinating whale sharks, subdued sea turtles and graceful eagle rays. 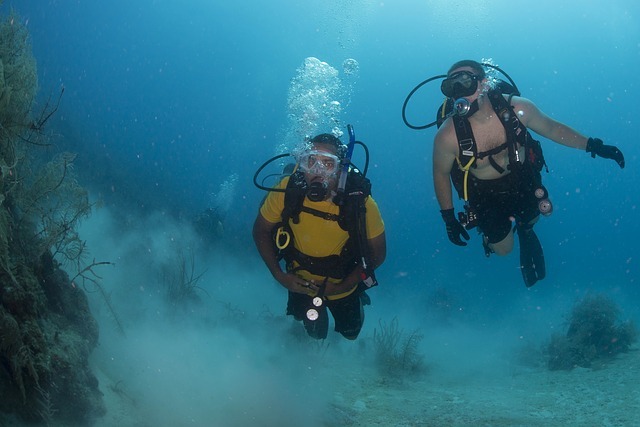 With visibility usually extending hundreds of feet, diverse dive sites and extensive marine life, Belize will not disappoint either the first-time or most experienced diver or snorkeler. Belize is typically hot and humid day and night year-round. Temperatures vary by only about 4°C between the coolest part of the year (December to March) and the hottest (May to September). The daily temperature range is around 10°C from the hottest part of the day to the coolest part of the night. In the uplands (Mountain Pine Ridge and the Maya Mountains) you can expect temperatures to fall by about 3°C for every 1000ft rise in altitude, making things noticeably more comfortable. Belize has distinct wet and dry seasons. The wet season runs from mid-May to November in the south and from mid-June to November in the north. November to February is a transitional period, with the year’s coolest temperatures and a limited amount of rain. The true dry season is February to April. There’s quite a large difference in rainfall between the north of the country (around 1500mm or 60in a year) and the south (about 4000mm or 160in). In the north and center of the country there’s a dip in rainfall in August, between peaks in July and September. 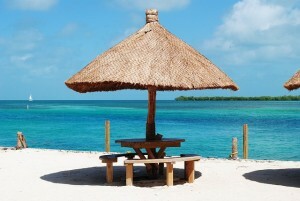 In Belize the high season for tourists corresponds roughly with the dry season: December to May. The shoulder months – especially December – receive a fair amount of rain, but not enough to scare away the multitudes of travelers who want to spend their holidays in the tropics. Most hotels and resorts are more expensive during this period (high-season rates are quoted throughout this book). The biggest influx of tourists comes between December 15 and January 15, and during the weeks around Easter. Some hotels and resorts, especially top-end accommodations, charge extra-high prices during these peak periods. If you’re using top-end or some midrange accommodations, you’ll certainly save money by avoiding these seasons. The rainy season runs from June to November. The early months, especially May and June, are actually a wonderful time to travel to Belize: you can avoid the tourist bustle and lodging is slightly cheaper. The only ownside is that it’s outside the lobster season, so you’ll have to forego at least one local specialty. Rivers start to swell and dirt roads get muddy. Some more remote roads may not be accessible to public transportation. With too much rain, some of the caves such as Actun Tunichil Muknal are dangerous and therefore closed to the public. Southern Belize is especially precarious during the rainy season; this relatively remote region receives two to three times as much rain as the rest of the country.